If you’re an interior designer (or know someone who at least imagines they are), then you need to hook them up with the Nix Mini Color Sensor. And just so we’re clear, this isn’t one of those idle, yeah-sure-one-of-these-days kinds of recommendations. If you’re dealing with someone who spends significant time eyeing color, paints, fabrics, etc., then cueing them up to the power of the Nix Mini Color Sensor (now $69, 30 percent off from TNW Deals) will be like showing a carriage driver an internal combustion engine. Can you say game changer? The Nix works like Shazam for the paint and design enthusiast. 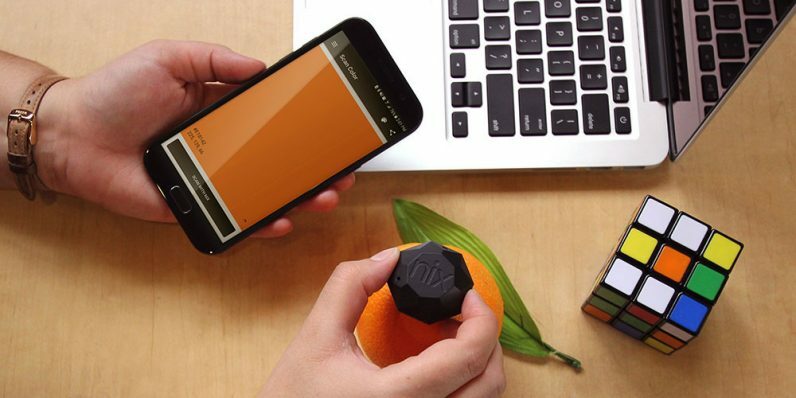 Just point the Nix at the surface of your choice and within seconds, this eagle-eyed sensor analyzes the pigment and points you to the closest color matches from all the biggest paint brands. When we say surface, we don’t just mean the wall. We mean any surface, whether it’s a painted wall, vinyl, leather, plastic, fabric, dyes — you name it, Nix will find it. And when we say the closest color matches, we mean matches you’ll have trouble telling apart. The Nix checks your choice against more than 28,000 brand name paint colors, as well as the full range of RGB, HEX, CMYK, and LAB hues. Basically, the Nix throws open the catalogues of makers like Benjamin Moore, Dulux, Farrow & Ball, Sherwin Williams and more, and spits out all the specific color options from each manufacturer that’ll work for your project. The Nix is lightweight and can easily attach to a keychain, making it a perfect travel tool. The unit even emits a white LED light so you can get just the right color reading every time. Once you’re synced to the Nix app, you can also store and organize all your chosen colors and keep them on file for next time. The Nix retails for $99, so don’t miss out on the limited time deal to get one for your favorite color freak for only $69.